Happy new year everyone, I've been thinking about a luggage trailer for the LT and wondered if anyone has built one, got one for sale or any advice on building one, also any suggestions photos etc for the tow attachment on the bike or photos of the trailer. In others words owt. Smudje had one Bren he and Monique used one when they came to the treffen a couple of years ago. If you look at the older photos I'm sure there are some pictures of his set up. 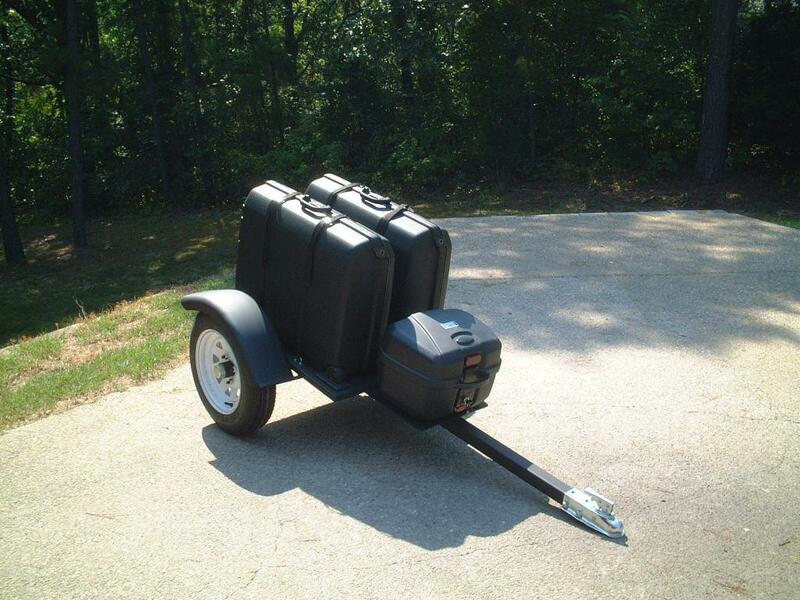 Here is a picture of the Samsonite Oyster suitcase trailer that I built. It has been used a lot. The box on the tongue came from JC Whitney and also snaps off to take into the motel. I used torsion axles for suspension and 12 inch wheels. Over all it is 6 feet long and weighs in at 110 LBs empty. You literally can not tell it is back there when pulling with the LT or the RT. 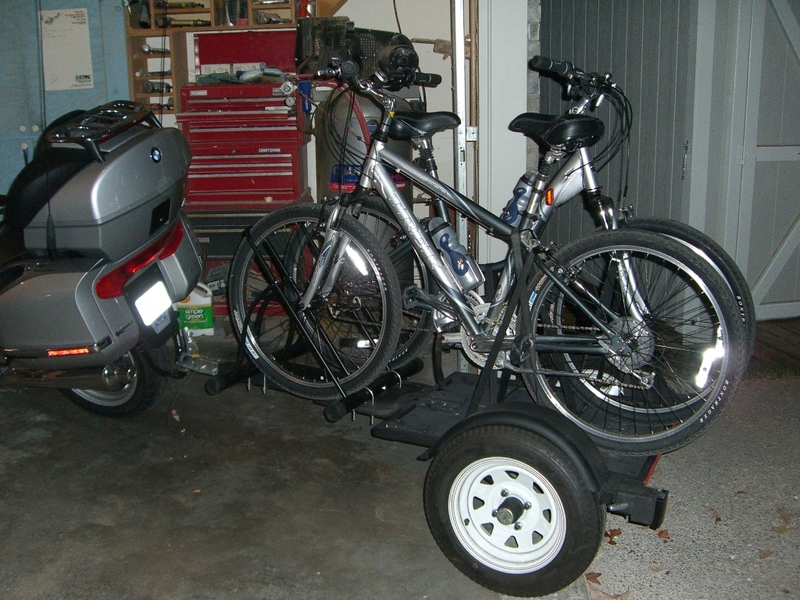 On both of my motorcycles I used tow hitches from DMC (Dauntless). It converts for hauling my bicycles also. Here a link to see the trailer I made 2 years ago for my PC 800 and that I put behind my K12LT now. If you go around in the same site, you will see others making. If you need I can give you plans to build the hitch to!! 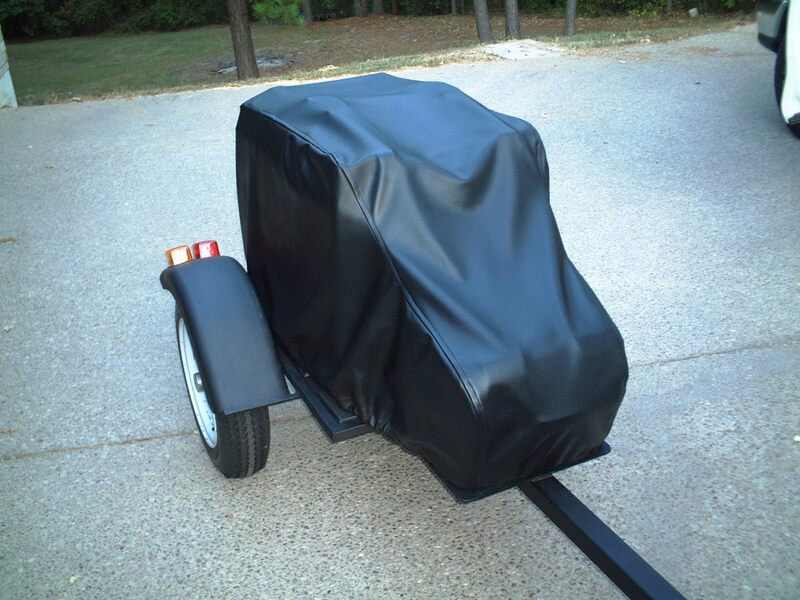 http://bagagere-moto.forumgratuit.or...a-construction 3 pages to see!! The small top case on the draw bar unsnaps from a plate mounted on the draw bar so you can carry the top case in the motel. I have actually taken the entire trailer into a motel room but it is a tight fit through the door. The empty trailer can be stood up against the wall for storage. Thanks for the response Ron I've got a plan now just need to action it. When you build the trailer be sure to use LED lights on it. This will allow you to connect the wiring on bikes that are Canbus without causing a conflict with the ZFE. This would be for RT's and newer K bikes. The taillight/brake light on these bikes have single element bulbs and the ZFE sends 5 volts in the tail light mode and full 12 volts in the brake mode. Thanks for the suggestion Ron, my LT is a 2005 will that qualify for the canbus on the light circuits? I haven't had it long so not fully up to speed with the system. No canbus on the LT. I wasn't sure which bike you were riding.....this would not be necessary on the LT. If you plan on a different ride later it might make a difference. LED's draw less power and work well with either bike. I've had a go at building a monowheel trailer it weighs in at 55 kilos, I loaded it up with about 20 kilos I did about 100 miles and it appeared to be ok, I suppose with the monowheel design it's the weight on the tow hitch that you've to pay attention to, has anybody any views on this?